I cannot get over how sweet this is!! Jon and Dee are my favorite bride and groom. 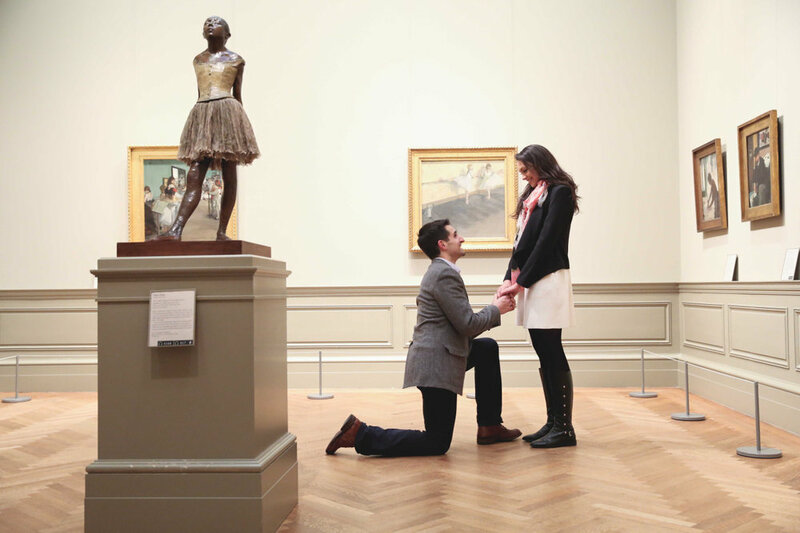 A few weeks ago we took advantage of the snowy weather and did the ultimate snowy day engagement shoot and we finished the day by returning to the site of the proposal - at The Met, in front of Dee’s favorite painting. It’s a bit meta - but her favorite painting is of a woman standing in front of a Degas painting at the Met. Well, Jon proposed to her in the very same spot and we recreated the image using photography, and for her birthday Jon recreated the image in a painting. SO GOOD!! !